Powder Polish Dip made to work exclusively with Cuccio’s Powder Polish Dip System. 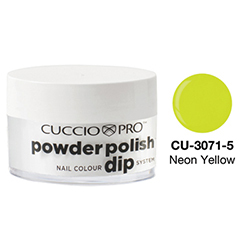 Highly pigmented powders create vibrant looking nails with unbeatable shine! Available in 1/2 oz.